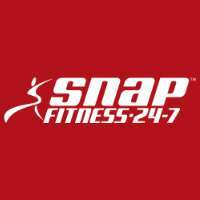 Snap Fitness Castle Hill is a premium 24-hour fitness gym in Castle Hill that offers access to world-class fitness equipment and facilities for your cardio, strength, and functional training needs! No matter how you train, Snap Fitness offers access to world class fitness equipment and facilities for your cardio, strength, and functional training needs! We get you energized and fit, helping you live your everyday life to the fullest! Snap Fitness is open 24 hours, giving you access when other gyms can not! Our aim is to create a friendly and comfortable environment with positive staff members and as a team, we are here to share our wealth of knowledge to encourage and support every member to reach their maximum fitness potential and well-being during your health and fitness journey! With over 2,000 clubs open and in development in 18 countries, we are the world's premier 24/7 fitness franchise in The Hills area! Snap will get you energized and fit, helping you live your everyday life to the fullest! Snap Fitness is open 24 hours, giving you access when other gyms can not. We offer members so much more than your average gym! We will get you energized and fit, helping you live your everyday life to the fullest! Snap Fitness is open 24 hours, giving you access when other gyms can not.